With so many options and decisions coming into play when choosing horse stalls, things can sometimes be confusing; at RAMM Horse Fencing & Stalls we want to make that easier for you. 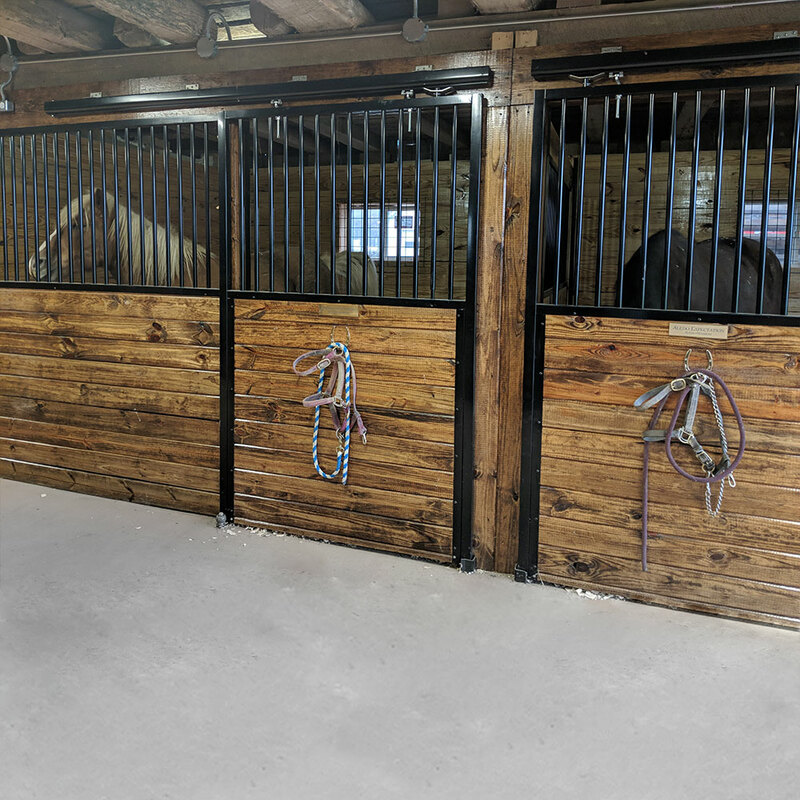 All of our horse stalls are made with a very keen attention to detail, excellent craftsmanship, and designed for the safety of your horse(s). Whether your horse is stalled only for a short time each day in one of our portable horse stalls or lives mostly inside a Designer Stall, it is important to have the peace of mind in knowing they are safe and comfortable. After all, we are horse owners too and know that choosing a horse stall is a major decision. 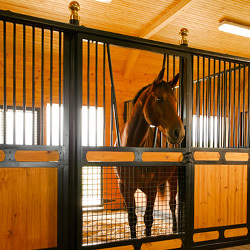 There are many factors to consider when selecting the right horse stall system for you and your horses. Our trained staff is here to help answer all of your questions and provide decades of experience with finding the right horse stall system, stall supplies, and other equine products for your barn, facility, or equestrian center. You can contact us at 1-800-434-8456 to assist you in choosing the stalls for your horses that are right for your barn or traveling needs. 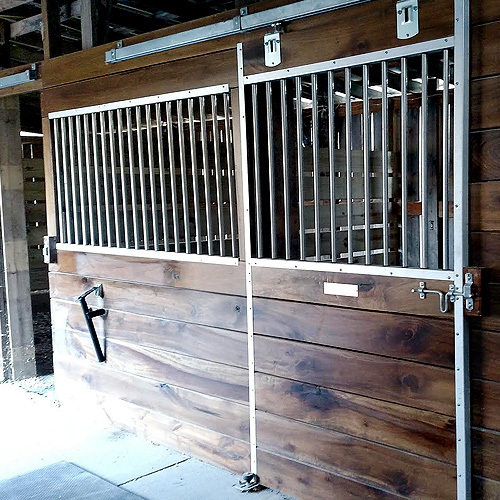 RAMM Horse Fencing & Stalls has many options to fit all of your horse stall needs, whether you're looking for an economical or a designer horse stall system. *RAMM is the industry's premier hot-dip galvanizer for horse stalls. 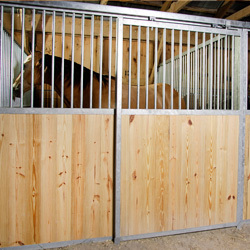 Derby Pro-Line Horse Stalls offer quality and safety at an extremely economical price! 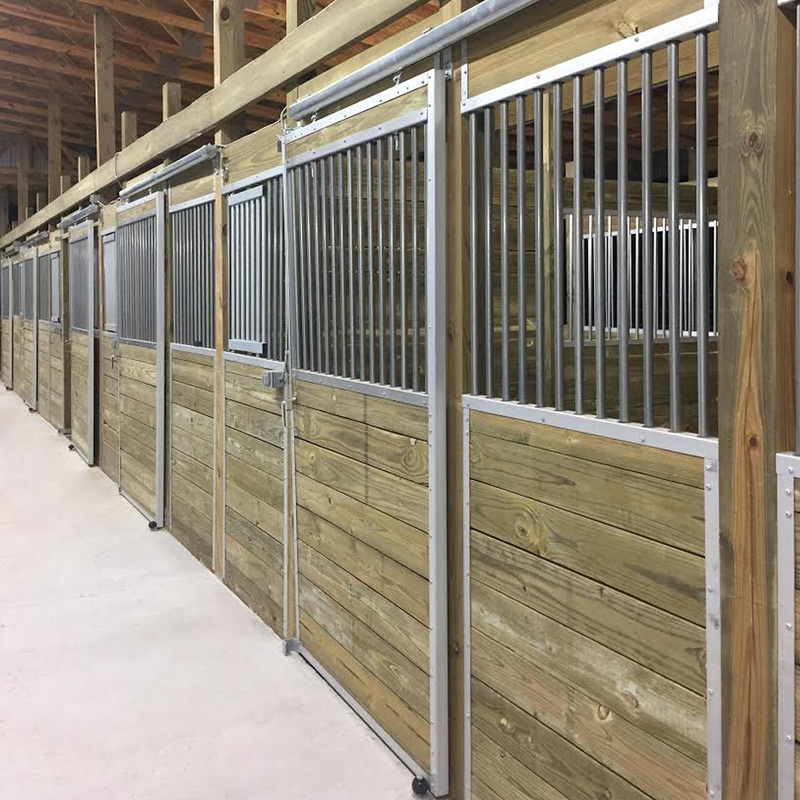 Our Essex Standard Horse Stalls, rated #1 in Horse Journal Magazine for their modular design, safety, and ease of installation. They are a very great value and offer many options and upgrades to give them your own personalized, custom look. 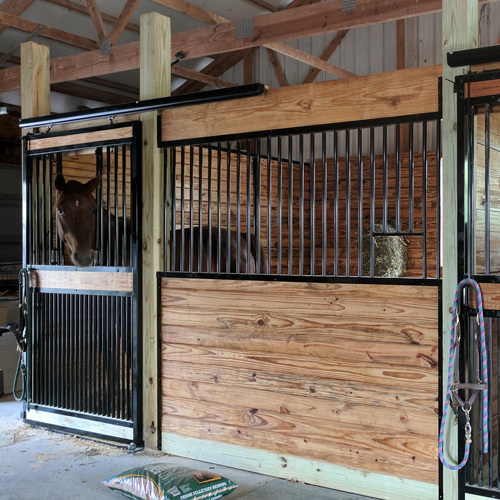 Oxford Welded Horse Stalls have all welded components, making them easier to install, and also are available in hot-dipped galvanized or powder-coat paint with plenty of upgrades available. Dublin Portable Panel Horse Stalls are totally free standing and built tough to take everyday abuse.can be installed without supports, have welded components and are hot-dipped galvanized for rust protection. 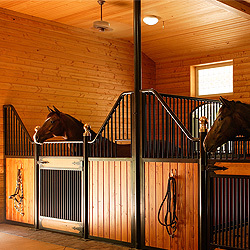 Designer horse stalls have elegant and beautiful design and strength. Choose from our two existing styles: Nobleman and Tuscany or you can create your very own. *Custom options are available for most equine stall types and our trained staff is only one (toll-free) phone call away. Whichever horse stall system you choose, you can be sure that RAMM will be there with you every step of the way! We provide detailed installation instructions and technical support to help ensure your project is completed to your satisfaction. 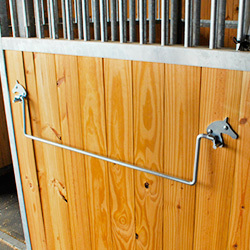 After you decide what system is right for you and your farm, feel free to look through our wide selection of horse stall accessories to get your project started.